These guys were a breed apart. We were a different country back then. This tragedy was considered a minor setback, and the race to the moon continued. I can’t believe someone thought it was a good idea to use pure oxygen. Three American astronauts have died after fire swept through the Apollo spacecraft designed for a manned flight to the Moon during rehearsals at Cape Kennedy. It is thought an electrical spark started in the area holding oxygen supplies and other support systems. 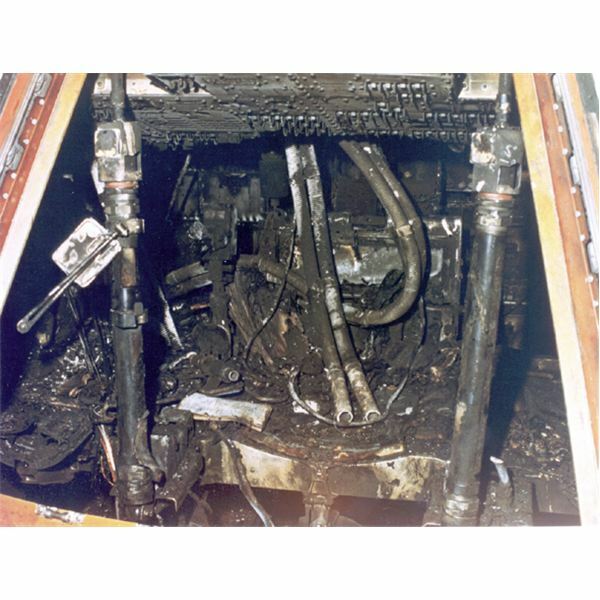 The fire spread quickly in the oxygen-filled atmosphere of the capsule, killing the crew within seconds. 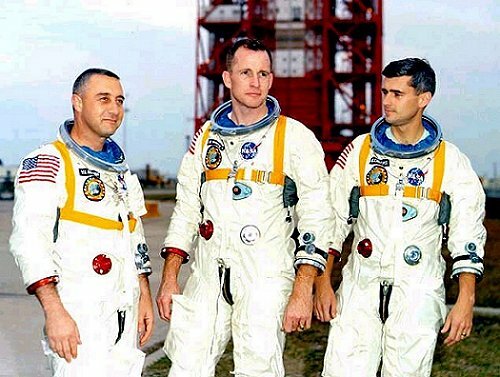 The space crew, flight commander Gus Grissom, Edward White and Roger Chaffee, were taking part in a test run for the launch of the first Apollo mission. Navy Lieutenant Commander Chaffee, aged 31, had never flown in space before. Air Force Lieutenant Colonel Grissom, 39, was the first American to make two flights. Air Force Lieutenant Colonel White, 35, made America's first space walk. Apollo 1 disaster - January 27, 1967. Challenger disaster - January 28, 1986. Columbia disaster - February 1, 2003. This is a lousy week in the history of NASA. Well, at some point, for this very reason, they switched to pure nitrogen in the engine compartment. You'll never guess what happened. Someone died. It was in preparation for the first launch of Columbia. You know, I had completely forgotten about that. Thanks for posting. From your article. One of the problems in the capsule that burned, was that the door only opened inward. It was designed that way so that, in space, the pressure inside the capsule would hold the door shut and well sealed. If the door had been designed to open outward, then normal pressure inside the capsure would be trying to force the door open instead of closed, making the possiblity of a catastrophic malfunction much greater. Unfortunately, when the fire started inside the capsule, inside pressure rose very quickly due to the high temperatures expanding the air inside. The pressure held the door shut, and the astronuats were unable to open it to escape. BTW, pure oxygen was used for this test because that's what is used in space. Atmospheric pressure inside the capsule in space is MUCH lower than normal atmospheric pressure found on Earth at sea level, to reduce stress on the capsule and lower the amount of gas that must be carried on the voyage. With pressure that low, pure oxygen must be used so the astronauts' metabolism had enough oxygen to function normally. For obvious reasons, conditions during this pre-launch simulation must be as nearly identical to actual flight conditions in space as possible, so pure oxygen was used in the simulation too.